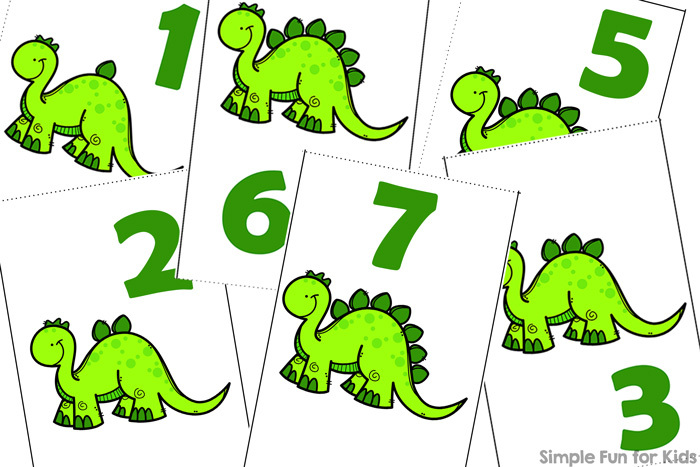 Have you seen my Dinosaur Counting Dominoes I posted the other day? 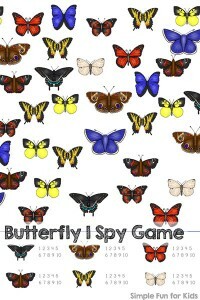 I’ve made a mini folding book with the same clip art that’s been available on my membership site for a while now. 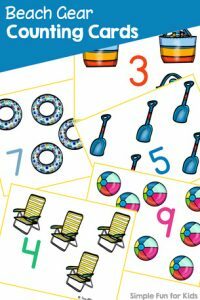 I frequently post new printables over there first, go check out all of the perks of being a VIP member! 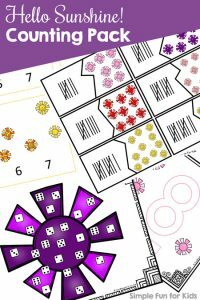 Today, I’d like to share a version of that printable with you for free: Dinosaur Counting Mini Folding Book! This is a one-page printable that turns into a mini folding book with minimal cutting and no gluing. The mini folding book has 7 pages plus a cover page and shows dinosaurs with between one and seven spikes on their backs and the matching number, one to a page of the mini book. Print the page from the file, cut along the outside dotted lines and crease along the solid lines. Fold in half the short way and make one cut along the inner dotted line. Check out the video for how to collapse the mini folding book. 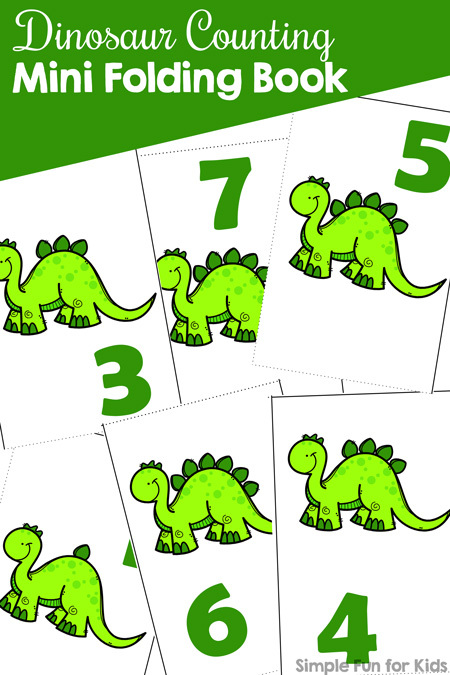 Download your free Dinosaur Counting Mini Folding Book! Or click here to see this page on my membership site and become a VIP member today! The VIP file includes three different font choices and b&w versions of all of them. My Dinosaur Counting Dominoes use the same set. 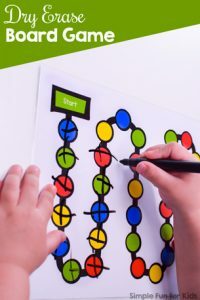 Are you looking for more counting activities? I’ve picked out a few for you!